I was never good with New Year Resolutions, so I stopped making them many years ago. This year, I decided to make a bucket list. 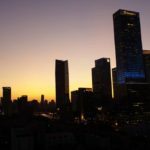 I’ve been living in Shanghai for about two months now, and I have noticed that all of my foreign friends are MUCH more knowledgeable of hip and interesting places to go than I do. This is when my knowledge of Chinese language actually fails me. I haven’t taken the time to research and to get to know my new city at all! This stops now. Here’s a list of things (in no particular order) that I hope to do, and places that I hope to visit, in 2013! Shanghai Propaganda Poster Art Center – for someone who is interested in media, this is a must, no? Afternoon tea at The Langham Yangtze Hotel – my sister worked here for a while so I’ve heard a lot, and supposedly it’s a great place to experience a piece of Old Shanghai. Try out one (or all) of these all-you-can-eat dim sum places for brunch. Walk along the Bund when it’s a.) light outside and b.) not freezing cold. 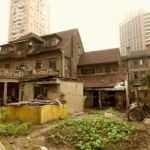 Shanghai Chedun Film Park – apparently the set of most Old Shanghai films these days. On top of this list, there are still dozens upon dozens of restaurants, bars, and events that are constantly happening in Shanghai. If you have suggestions, feel free to leave them in the comments! Here’s to an entertaining and fulfilled year ahead! There is a sculpture park near SheShan which has turtle-shaped trampolines, the largest I’ve ever seen. Hit it up during the summer.